This is a book of just 200 pages – but it contains the “wisdom of the ages.” It is not just a book on marketing, but a book for every business leader, at whatever level, and in any size of company, to use as a handbook and as a ready guide for strategizing growth in these difficult times. Truly, a RECIPE BOOK for leaders of enterprises, which may be for, or not for, profit–who have responsibility for setting goals and directions for the company. To begin with, the Kotlers identify the “8 megatrends that are shaping the world” and then work out a prescription in simple language, shedding all complexities, which are contained in “the 8 ways to win.” They begin with “Grow by Building Your Market Share” and end with the eighth, “Grow by Partnering with Government and NGOs.” Three chapters which are particularly interesting and provide new vistas, are on International Expansion; Mergers, Acquisitions and Joint Ventures; Building an Outstanding Reputation for Social Responsibility. The book is full of real life examples and recent history to illustrate and give body to the theory. The theory is put across in a manner for easy reading, even by the uninitiated. 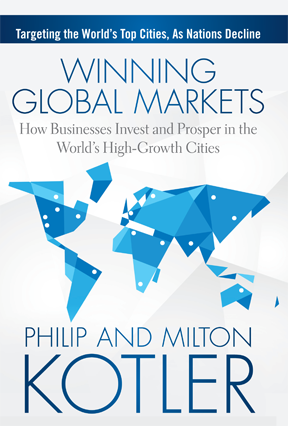 But Phil Kotler has been known to be a master at taking complex concepts and reinterpreting them in simple form, the true artist in his profession. The conclusion at the end of each chapter and the questions to be answered add immensely to the value of the book. 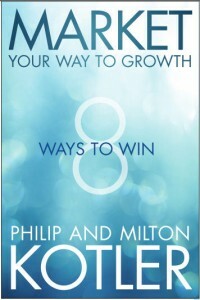 The” 8 winning strategies” have been covered before in Kotler on Marketing. They are not new. But the approach is new – and put across in an attractive form. Perhaps the book could have added more cases covering a wider geography like the Air India/ Indian Airlines merger, which was a disaster, or the many acquisitions of Wockhardt Pharma worldwide, which went sour with the economic meltdown. Also perhaps, some examples of companies that have adopted 2 or 3 ways to win simultaneously and have succeeded, or have failed in trying to do too much, too soon. The Epilogue is particularly interesting. 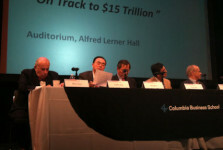 It captures the essence of our dilemma, and the great debate between austerity and stimulus spending, as economic recovery solutions. It is the content of a whole book, summarized in one chapter. Market Your Way to Growth, is a must read for all those in business, and even those in government and in NGOs. It will be only a small investment in time. But with a big return on our way of thinking about the future for our institutions, in our special situations and in our special way.